Once in a while, for no apparent reason, you may encounter the SPOD (Spinning Pinwheel of Death). It's that multicolored pinwheel mouse pointer that signifies a temporary delay while your Mac tries to figure something out. 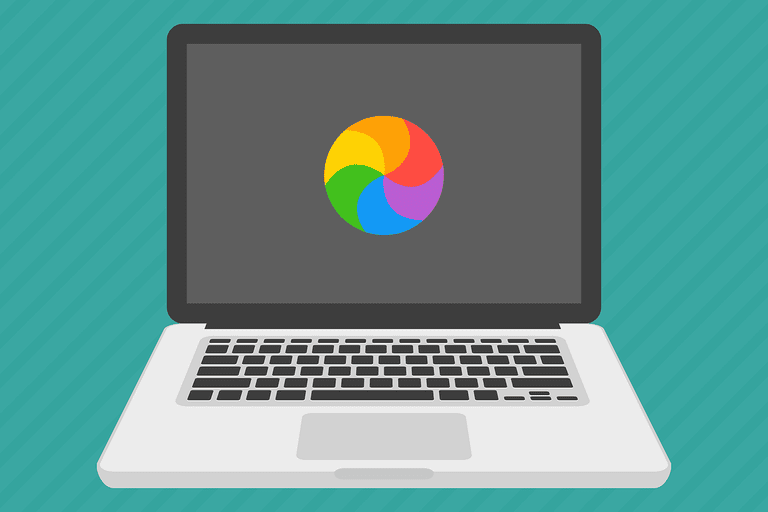 In this case, your Mac is trying to think but nothing happens, so the pinwheel keeps spinning, and spinning, and spinning. Luckily, the SPOD is rarely a sign that your Mac is freezing up. It's more likely that a single application is stalled or frozen. If that's the case, bringing another application to the front or clicking on the desktop will likely bring the Mac back under your control. You can then force quit the offending application. There's a good chance, though, that the next time you try launching the application that caused the SPOD, you'll end up seeing the spinning pinwheel again. One of the first things many of us will think of doing is to repair permissions to make sure the application, and any associated files it needs, have the correct permissions required to run. File permissions can get wacky once in a while; repairing permissions is a good general-purpose troubleshooting catch-all. Repairing permissions was a good first step, provided you're using OS X Yosemite or earlier. With the release of OS X El Capitan, Apple added a new feature that made manually repairing file permissions no longer necessary. Now file permissions are automatically repaired whenever a software update occurs. As a result, if you're using OS X El Capitan or later, you can skip repairing file permissions and move on to step two. The second thing I do is clear the dynamic link editor (dyld) cache. The dynamic link editor is a way for OS X to load and link programs to shared libraries. If the application in question uses a shared library of routines in OS X (and most applications do indeed use shared libraries), it's the dynamic link editor's job to get the application and the shared library on speaking terms. The dynamic link editor keeps a cache of recently used library entry points. It's this cache of data that, should it become corrupt, can cause the SPOD. I don't know what causes the cache to go bad, but the phases of the moon and unusual weather patterns are as good a reason as any. The point is that clearing the cache out will usually eliminate the SPOD. At the Terminal prompt, enter the following command. This is a single line; some browsers may show this command spanning multiple lines. You will be asked for an administrator account password. Once the password is accepted, Terminal may display some warning messages about mismatches in the dlyd cache. Don't worry; these are warnings about the content that is being cleared out and then updated by the command. Clearing the dyld cache can take a few moments. Once it's complete, the normal Terminal prompt will return. You should now be able to use that application without encountering the SPOD. If you still run into the spinning pinwheel, also commonly called the spinning beachball, there are a few more tricks to try. It's possible the SPOD isn't being caused by the suspected app, but by another app or daemon that may be running in the background. You can usually tell if a specific app, such as Safari, is causing the slowdown by bringing another app to the foreground. If the spinning pinwheel or beachball cursor goes away but returns when you bring the Safari app back to the front, then it's likely Safari that is having an issue. But if the SPOD continues when you switch to another app, then another app is causing the problem. This opens up a wide range of possible causes. It could be just about any third-party app that installs a background process that is always running, such as many of the anti-virus apps out there. It could also be one of Apple's own processes, including Spotlight, which can bring a Mac to its knees when it's creating or rebuilding the Spotlight index. Look for processes with the names "mds", "mdworker", or "mdimport"; these are all part of the MetaData Server process used by the Spotlight app. If any of these have a high percentage of CPU activity (larger than 20%), then it's likely Spotlight is updating its database. Use the Search bar in Activity monitor to find all the processes that have "md" in their names. You can try waiting for the process to end, though it can take a long time if Spotlight is indexing a new drive, a clone you just made, or some other event that has caused a large change in the data storage your Mac has access to. If you can’t wait, you can turn Spotlight indexing off for a specific drive or folder by following the directions in the Using Spotlight's Preference Pane to Customize Search guide. Remember, when you turn Spotlight indexing back on for the selected drive or folder, the indexing will start from the beginning.